All three Rapid Deployment Force troops were re-releases of previous figures, with different accessories. No new molds were used. Fast Draw v1 was released in 1987. 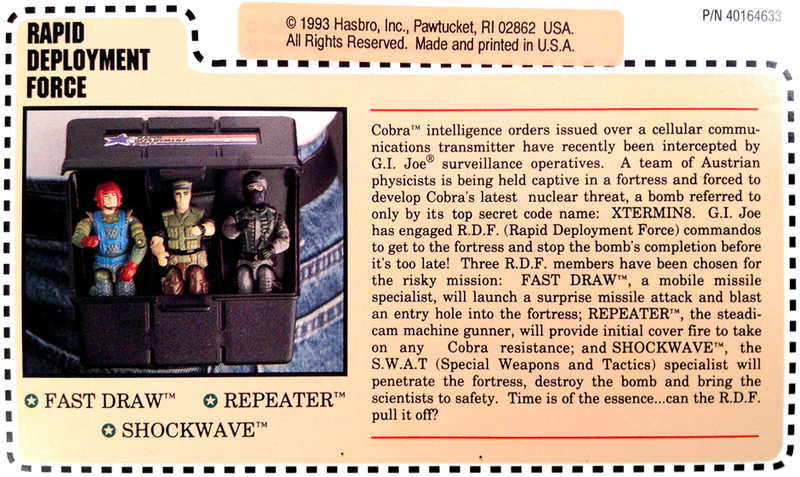 Shockwave v2 was released in 1989. Repeater v2 was released in 1989. The Pocket Patrol was previously released in 1983 in green.